Home Buying 101: What Happens If A Home Inspection Fails? 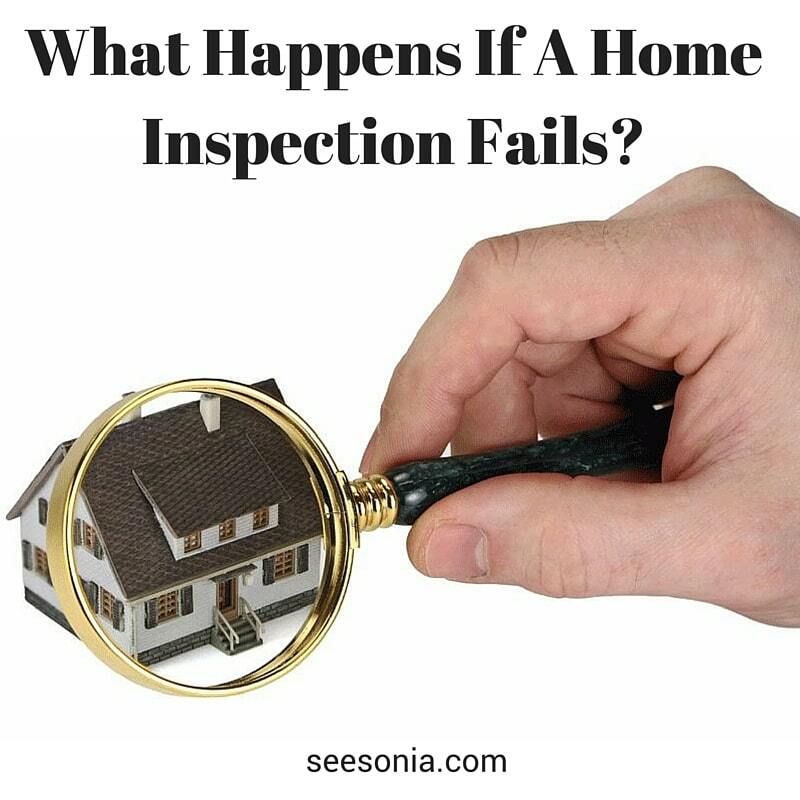 “What happens if a home inspection fails?” The is a very frequent question I get from several clients. I had a situation where my client conducted three home inspections and unfortunately never ended up with a home after all. If you are new to home buying, a home inspection is done within a period of 5-10 calendars day upon the seller accepting your offer. Your real estate agent can recommend a inspector or you can do your own research to find one. I highly recommend that you conduct an inspection. You haven’t lived on the property and you do not know what damages can lie beneath the foundation of the home. The home inspector will go over the major components of a home like the foundation, roof, plumbing, electrical and the overall exterior of the home. There are other details including making sure all the appliances work especially if it’s new construction or a new rehab. Keep in mind that the home inspector will ALWAYS find something wrong. There isn’t a perfect home even in new construction. There is something that will pop up. Mentally prepare yourself to know that. Normally a failed inspection will be because of a major flaw such as cracks in the foundation, a bad electrical panel, the roof is at the end of it’s life cycle or major mold issues. When are the major issues is flagged it will be up to you to decide what to do. It’s a choice of whether or not you’re willing to pay to fix. Once the inspection is complete you will receive a 30 page report. It will go over all the finding in detail and a summary of the items that were found especially any safety issues. Once you review the items and have some concerns here is what happens. If a major item was found, like one of the ones mentioned above, then you will need your attorney. They will be addressing this with the seller’s attorney. In this case a credit is asked for. For example if the foundation has cracks in it and you want the seller to give you money towards the repair for this then you can ask for a certain amount. In this case you will need to have a contractor like “permaseal” to give you an estimate on how much this would cost. However, the seller would also have the opportunity to do this as well. Once the seller has their quote and you have your quote then negotiations will begin between both parties. The only caveat to this is to make sure that the lender allows you as the “buyer” to have that amount of credit at closing. This is due to RESPA laws. The same example can be used above for this next scenario. Basically instead of asking for a credit you would ask for the seller to repair it and not receive any type of credit. So it will fall solely on the seller to fix it. The seller would have to get an estimate and repair it. The only caveat to this scenario is if the owner of the home does it correctly and doesn’t try to do it DIY (do-it-yourself) style. You can ask your attorney to give proof of a licensed contractor having done the work to make sure if was done correctly. The last option in which no one really wins is if no one agrees on any of the two options above and the deal is cancelled. Basically if the seller doesn’t want to fix the problem or repair the problem then the deal gets cancelled. Then your earnest money would be returned. You as the buyer would have your attorney write up a cancellation letter and get your money back. For further questions feel free to contact me directly by entering replying in the contact box on the main page of my website.